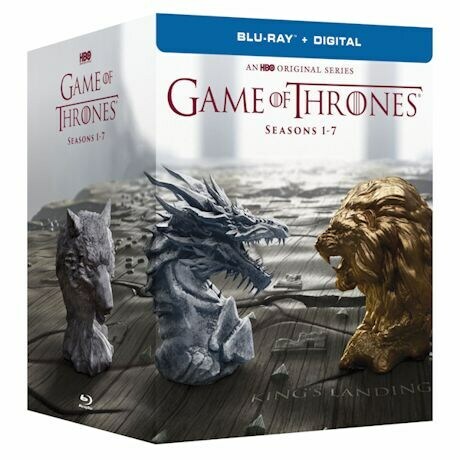 Winner of a Golden Globe® and more than three dozen Emmys®, this HBO series based on the best-selling fantasy novels of George RR Martin is a worldwide TV phenomenon. 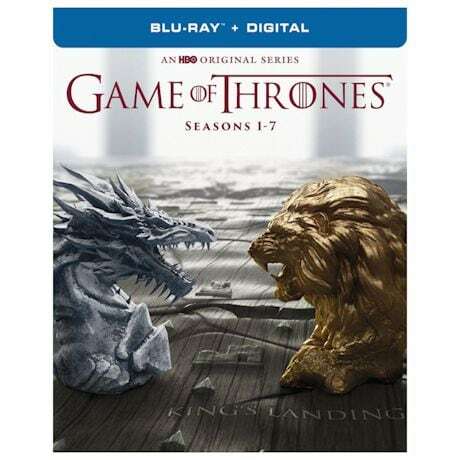 It has seven kingdoms, several overlapping storylines, fire-breathing dragons, dire wolves, warriors, wights, witches, White Walkers, face-changing assassins, passion, plots, romance, revenge, and immense battles. 16 million people watched the Season 7 premiere. Over 63 hrs on 7 DVDs. Blu-ray set includes digital HD copy and bonus features. Mature audiences.